Every see a party and you're just like, OMG, I just have to share this!! That's what I thought when I saw this party created by Couture Parties. 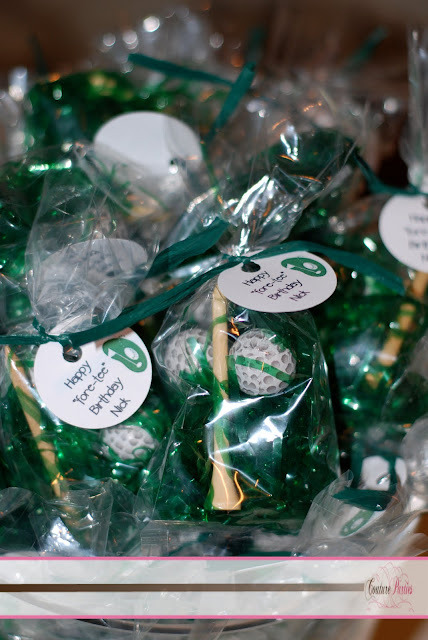 It's a golf themed Surprise 40th Birthday party, or fore-TEE-ith. 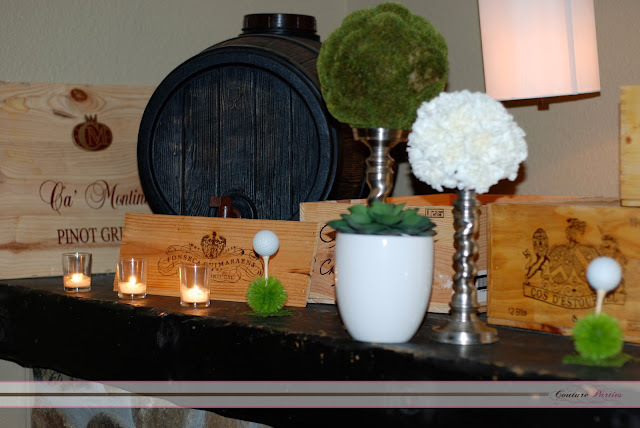 If you haven't checked out Couture Parties blog before, I strongly suggest you do - she offers some amazing party ideas! 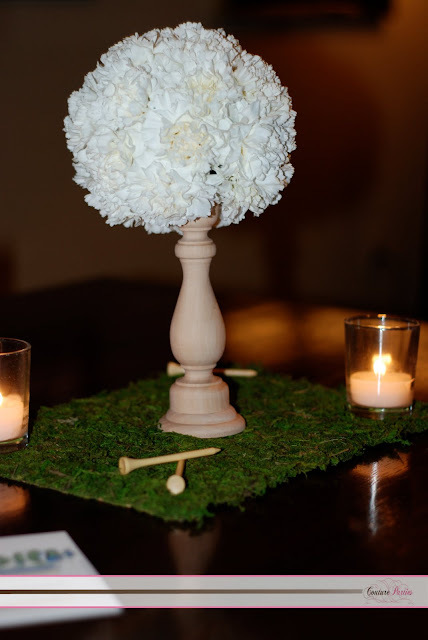 How cute are these centerpieces shaped like golf tees? I love the moss laid underneath! 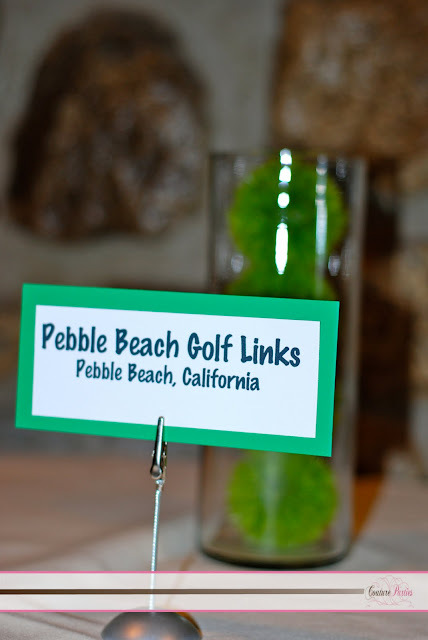 Each table was named after the birthday boys favorite golf courses around the country. 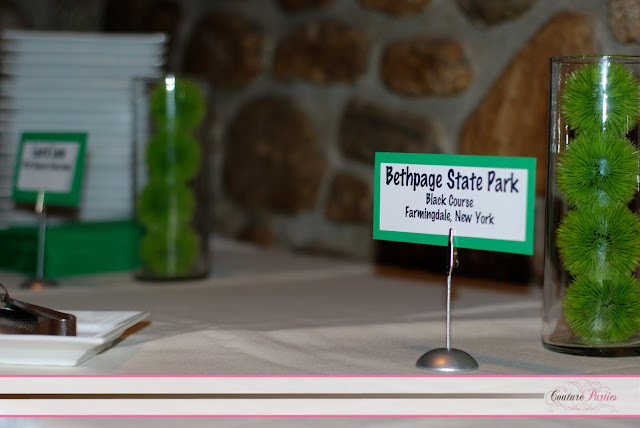 Close-up of the table cards. 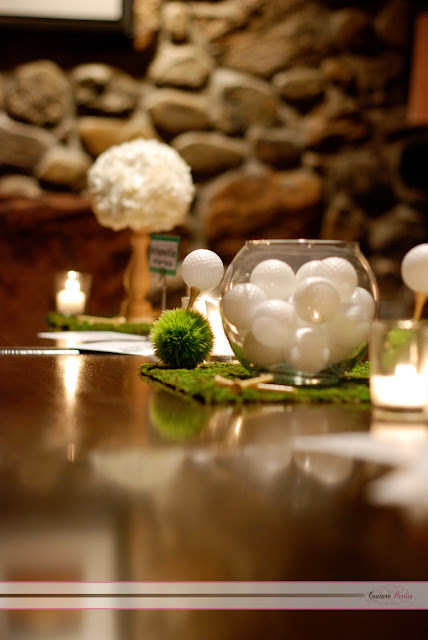 A view of the table - I love the idea of placing golf balls in a round glass bowl! 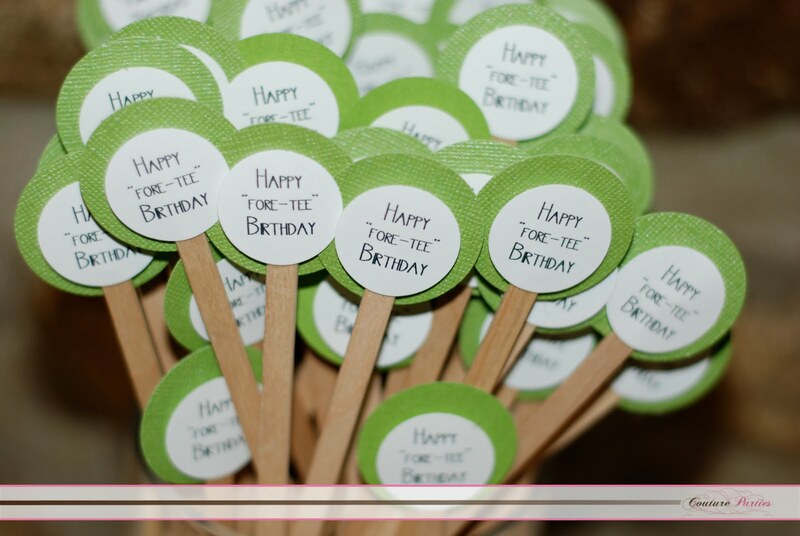 Grass makes for an eye-catching, yet inexpensive, way to decorate your parties. It looks pretty, too! To see more photos and find out the details of this party, head over to Couture Parties!